Among all the pleasures that come with the summer, perhaps one of the most enjoyable is growing your own herbs. The sheer difference is the burst of fresh taste compared to that of dried herbs is astounding. Even better is that the cost per harvest is minimal compared to the small bunches of refrigerated herbs sold in grocery stores. Read on for some easy tips on growing your own herbs. Your family and dinner guests will love you for it! Parsley is an incredibly versatile herb to use in cooking and it can be grown indoors all year round. It lends a slightly spicy but fresh flavor to food. If planting parsley from seeds, make sure to let them sprout by placing them on a wet paper towel about twenty-four hours before planting them in soil. The pot should be quite deep with drainage holes at the bottom. Add some wood chips into the soil to help it drain better and place it in a sunny area. Leaves can be harvested when the plants have grown to a good height, but keep in mind that it takes around three weeks for the plant to renew itself. Parsley can be used in many types of stews to add flavor, as well as in salads such as the Middle Eastern tabouleh, and as a fresh garnish on fish or meat. Sage is a great herb to grow all year round. It thrives best in the outdoors and like parsley, it needs plenty of sun and well-drained soil. Sage is quite a hardy plant though and it can adapt well to fairly dry soil as well. It only requires watering every three to four days. The young leaves of the sage plant are the most flavorsome. Harvest the new leaves that grow on the sturdier plants. Sage is divine when added to spice mixes or stuffings for meat dishes, as well as a flavoring aid in soups, breads and other foods. Rosemary lends a lovely fragrance in any herb patch and in foods as well. The plant grows all year round but it can be hard to initially sprout. It might be easier and quicker to purchase a young rosemary plant and transplant it into the herb garden. Rosemary grows well outdoors and requires plenty of light and aerated soil. The leaves can be harvested once the plants have grown several sprigs each. Rosemary goes incredibly well with beef as well as Italian recipes with a tomato-sauce base. This herb is also reknowned for is therapeutic characteristics and can be used in many non-food contexts as well. Thyme is a delight to grow since the new plants push up through the soil so quickly! Its smell and taste is reminiscent of a slightly lemony, fresh spicy flavor. Thyme grows well both indoors and outdoors. It normally requires a good deal of sunlight but not too much water. As with several other herbs, the soil should have sufficient drainage. Thyme leaves tend to be very small, but stems can be harvested after they have grown a few inches tall. Thyme can be used in many types of foods including international cuisine since it adds a slightly sweet, herby flavor. Oregano is a tough little herb that can withstand several types of climates and soil conditions. It is a perennial plant and can also thrive indoors. Oregano plants prefer warm, sunny patches with limited regular watering. The leaves can be harvested when the plants reach up to six inches high. Oregano is commonly associated with Italian seasonings for pizzas and pasta sauces, and it pairs best with tangy, garlicky foods. Of all the herbs, basil has one of the most soothing and instantly recognizable fragrances. When growing basil plants from seeds, make sure to position the pot or herb patch in a sunny area. Basil plants are quite slow to germinate and very often, gardeners will notice that many of the seeds simply haven’t sprouted at all. Basil requires plenty of water but with a proper amount of drainage in the soil. Harvesting can begin once the plants start growing, and it is encouraged since basil plants need to be pruned. Since basil is not a perennial, it will not survive the winter outdoors. However, if the plants are moved indoors into a warm area, they will continue growing through the colder months. Pesto is a great way to showcase basil as a primary ingredient. The leaves can also be used in food in their fresh form, dried or frozen. A fresh crop of chives just begs to be paired with potatoes and sour cream! 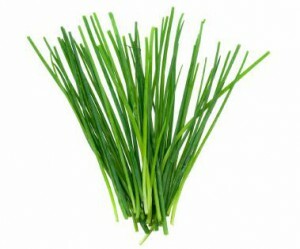 Chives are actually quite hardy plants and once they’ve sprouted, they grow fast and tall. Although chives need sunlight, they grow best in slightly cooler climates. Very warm weather tends to make them dry out. Chives need plenty of water and well-drained soil, but they can survive some periods with less water. When the plant is roughly six inches high, the leaves can be cut. Chives impart an onion-like taste that is fresher and subtler than onion. It is typically used to flavor foods or as a fresh garnish.